Please note: Downloading the video is only available on paid plans and not on the trial plan. Once your video is generated, you will get an email to your registered email id with the .MP4 file. You can download it by clicking the link in the email. If you're on Firefox, clicking on the link opens the video in a new window. 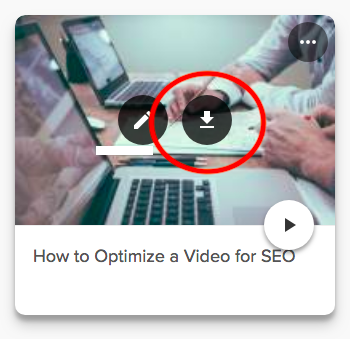 On this video, you will have to right click and select 'Save Video As' to save your video. You can also download your video from the Dashboard (https://rocketium.com/dashboard/library) by clicking on the Download icon.